A group of ex-Google engineers have just launched Otto, an autonomous trucking startup. 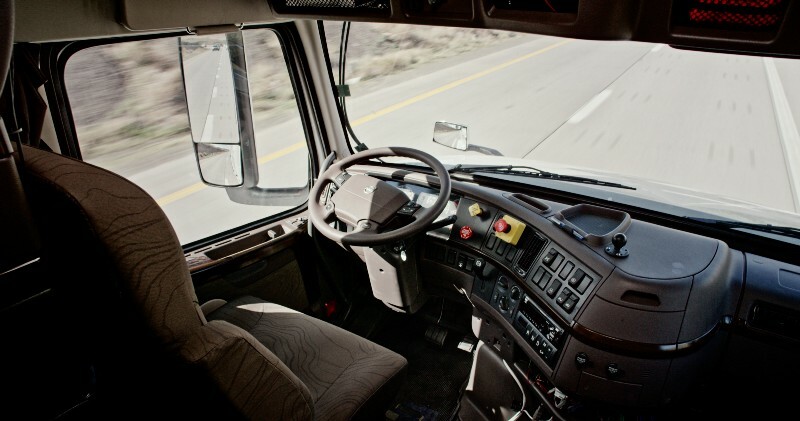 Inside an Otto-retrofitted self-driving truck. Otto’s first vehicle is twice as long and six times as heavy as Google’s cute prototype car, but has exactly the same number of drivers: zero. Founded by four ex-Google engineers — including Anthony Levandowski, the man who built Google’s very first self-driving car — Otto is applying Google’s all-or-nothing approach to commercial big rigs: ditch human drivers, avoid thousands of road deaths, help the environment, and if all goes well, make a ton of money along the way. Otto, which is based in San Francisco, currently has around 40 employees, some of whom previously worked at Apple, Tesla, Cruise Automation and Here Maps. Although the company was formed in January, the LinkedIn profiles of three of Otto’s four founders still show them working at Google. The nation’s highways are slowly filling up with intelligent trucks. Silicon Valley start-up Peloton has carried out tens of thousands of miles of tests of its efficient platooning technologies in Texas and Utah, while Daimler has been conducting trials of semi-autonomous trucks in Nevada. Otto, which came out of stealth today, is less interested in brand new trucks than in the estimated 4.3m big rigs already on American roads. Otto has already bought and retro-fitted three Volvo cabs with lidar, radar and cameras, and driven a handful of fully autonomous miles — without even a safety driver — on the highways of Nevada. It says its aftermarket self-driving kit will sell for a “small fraction” of the $100,000-$300,000 price of a new tractor cab. 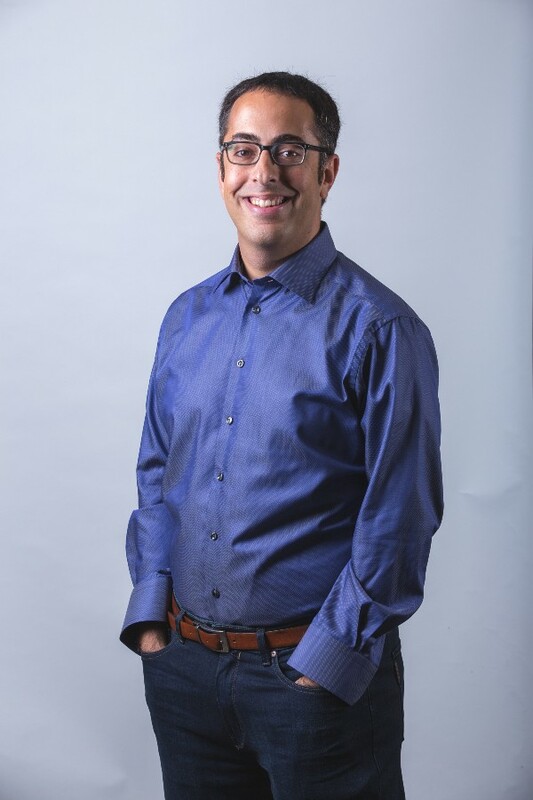 Here’s a quick phone chat with one of its co-founders, Lior Ron, ex-product lead for Google Maps and Google’s Motorola smartphones. Why commercial transport? Is there anything more old school than a tractor-trailer rig? How will your trucks work with human drivers? We want to get the technology to the point where it’s safe to let the driver rest and sleep in his cabin and we can drive for him, exit to exit. This is what allows us to change 11 hours’ driving into 24. The problem with cruise control Level 3 systems [such as Tesla’s Autopilot] is that there’s a constant hand-off between the vehicle and the driver, and it’s unclear who’s in charge. We have driven on a bunch of roads in California and outside, testing the sensors. And we’ve done driving with a safety driver in the backseat but the truck driving autonomously, and a couple of miles completely driverless without a driver in the backseat at all. When we feel safe enough, we’re going to virtually tap on the truck driver’s shoulder, and say, for the next 100 miles don’t worry, we got it. But your technology will only work on highways? That’s right. There are only 222,000 miles of highway in the US, just 5% of the roads in the country. They’re easier to map and it’s a much more constrained problem to solve than all those city and rural streets. There are no pedestrians or traffic lights but you do drive at high speeds and you do need to see far ahead. We’re optimizing for this kind of driving, with sensors mounted up on the cabin for a much higher vantage point. For now, all the technology is on the tractor but we might add some components to the trailer in the future. One of the challenges for autonomous trucking seems to be that the same rig might be connected to many different types of trailer, or even be hauling fluids or outsize loads. Sure, and on more a basic level, the truck behaves very differently with a trailer than without. Our technology can check the situation of the truck and sense whether there’s a trailer or not, and we’re training our algorithms to understand and cope with both. But accommodating the trailer’s characteristics is not something we’re working on actively now. That’s for further down the road. First, we need to solve all the basics. How about connecting multiple trucks together in fuel-efficient platoons? Platooning is an interesting implementation of the technology. The upside of doing platooning is you get some fuel efficiency. That’s OK but it’s not significant, and you need to get two or more trucks in the same place at the same time, with a really good method of fleet accounting. We’re all about providing a solution for the hardest and most important problem: getting single trucks to be self-driving. Get that right and you don’t have to assume a bunch of other stuff. You’re fully self-capable and the minute one truck is ready to drive, you’re good to go. I’m guessing that navigating state and government regulations will be a big part of Otto’s future. Our main focus is on the technology, but of course we’re talking to trucking fleets and states. The Department of Transportation and a lot of other great folks are getting involved in bringing the right regulations. And in many states outside of California, there are no specific regulations either way, which means that it’s actually legal to drive and test autonomous vehicles on many roads. We’re going to continue our testing with urgency but also work with regulators and other bodies to show we can have a truck drive itself more safely than a truck driver, all of the time. When will we see the first driverless truck carrying a commercial cargo? We have the basic technology in place and are already testing it on public roads. We want to demonstrate a cargo route in the foreseeable future, to show that our technology is commercially viable. We are fully funded by employees, who came together to enjoy this and get there as soon as possible. The approach and the team we put together have the ability to do that very fast. This article was first published on Backchannel. Previous article10 Biggest misconceptions everyone has about working from home! Next articleSet your creativity ablaze: 7 Ways to generate new ideas that are guaranteed to work!